In a new interview for Billboard, Elle talked about wanting to play a popstar and the feeling of letting loose on stage. The article drops some of the big names she got to work with while recording tracks for Teen Spirit, and explains the song selection by director Max Minghella. You can read it in full below. Additionally, our gallery has been updated with a photo session featured in the March 9 issue of the magazine. In Teen Spirit, Fanning plays Violet Valenski, an introverted but tenacious English teenager who enters a singing competition in the hopes of escaping her dreary home life. 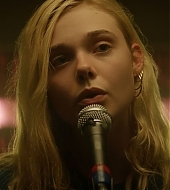 Throughout the movie, Fanning sings various pop showpieces, in the end taking the stage in front of a live studio audience to deliver a primal performance of an unexpected song. To anyone familiar with Fanning’s career, her magnetism onscreen is no surprise. Still, watching her as Violet is like witnessing a best new artist Grammy winner at the moment of birth. The first official poster for Maleficent 2 has been released! Disney has also confirmed the film is set to premiere on October 18, 2019. The sequel was originally set for a May 29, 2020 release date, but has since been moved up. 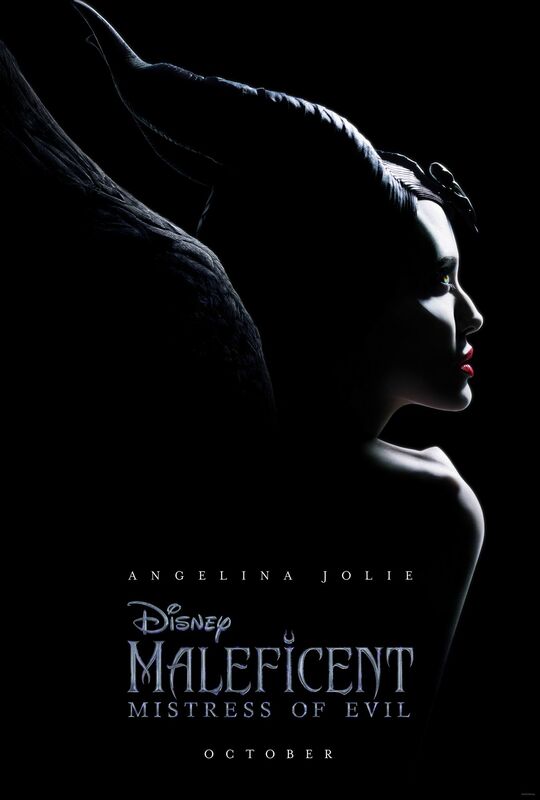 Jolie will be joined by actress Elle Fanning as Princess Aurora, as well as Michelle Pfeiffer as Queen Ingrith. Other actors include Chiwetel Ejiofor, Ed Skrein, Robert Lindsay and Harris Dickinson. Directed by Joachim Rønning, Mistress of Evil is being written by Linda Woolverton, Micah Fitzerman-Blue and Noah Harpster. 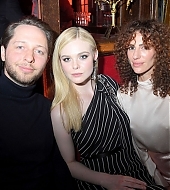 Elle attended the Miu Miu Fashion Show earlier today, and our gallery has been updated with images of her at the event. Elle is in Paris for the Fashion Week! She will attend (and maybe hit the runway?) the Miu Miu fashion show tomorrow. Our gallery has been updated with candids from March 03. Elle has been promoting Miu Miu’s new fragrance, Twist, and a new (albeit brief!) interview for InStyle has been released. We’ve added the featured image to our photo gallery. You’ve played everything from a Civil War-era schoolgirl to a princess. How does your love of fashion and costumes translate on the red carpet? I’m pretty fearless. I’ve always respected fashion and the imagination of it all, how you can put pieces together to create different characters. I also love the style of people who are just authentically themselves, like Brigitte Bardot and Patti Smith. You can tell when someone has been forced into a look, but I’ve always been drawn to those who own it. The fashion world accepted me, whereas maybe in school I wasn’t accepted. What happened to you in school? We had a uniform, which I’m a big advocate of, but on Fridays we’d have free dress. I would come in something crazy, and my friends would be in Converse, T-shirts, skinny jeans, the normal things. I’d definitely be looked at a little funny. My mom allowed me to dress the way I wanted to express myself. I got glasses when I was 7; she let me pick out really wacky frames. I was so grateful she allowed me to be that way. Are you as daring with your hair and makeup? I’m pretty natural with my makeup. I don’t wear tons of foundation, even on the red carpet. My sister [Dakota Fanning] is really good at doing makeup. I’m definitely more obsessed with my skin-care routine because I sunburn so easily. I use grape-seed oil from the grocery store to remove makeup. But I like to keep up with trends and be experimental with red-carpet looks. I’ve tried drastic ponytails and extensions, and my hair has been many different colors­—brunet, red, pink. Whenever I wear a wig in a film, I normally have pink hair underneath. It’s temporary, so whatever. So is beauty about self-expression or self-care to you? It’s a bit of both, and also about self-love, like taking the time to pamper yourself. I take a bath with salts every night. It’s a real ritual for me, a time to decompress. You’re the face of Miu Miu’s newest scent, Twist. Is fragrance a part of your beauty routine? The Hollywood Reporter has confirmed the rumors: Elle will be starring as Catherine II, also known as Catherine the Great, in Hulu’s series “The Great“. The series is currently expected to premiere in 2020. The Great features Fanning as the Russian empress as the genre-bending, anti-historical series follows the rise of Catherine the Nothing to Catherine the Great. Nicholas Hoult also stars. 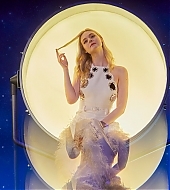 Rounding out the cast are Phoebe Fox, Adam Godley, Gwilym Lee, Charity Wakefield, Douglas Hodge and Sacha Dhawan. Elle is in Paris! She’s likely going to attend events at Paris Fashion Week, so we’ll be keeping an eye out for pictures. Our gallery has been updated with candids from today!